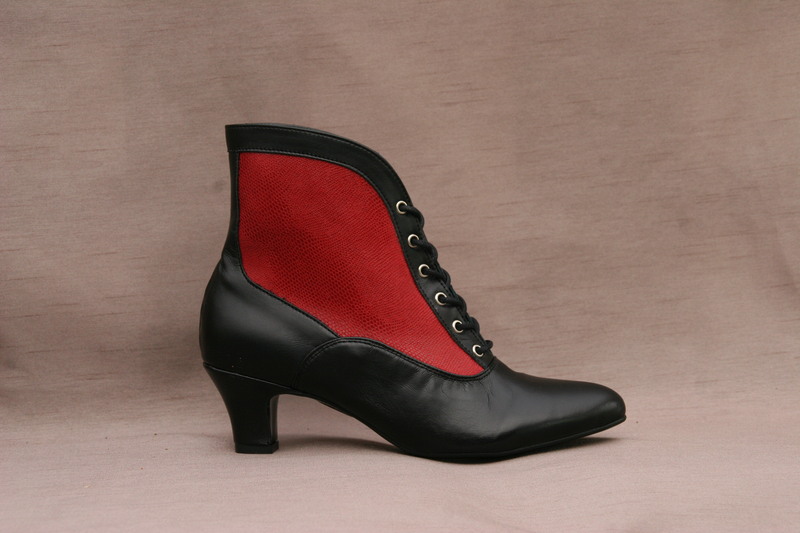 An unusual multicoloured leather boot. 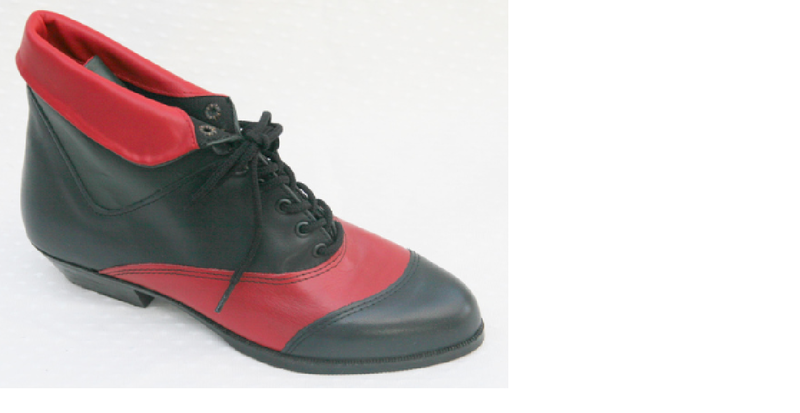 With turn down collar. 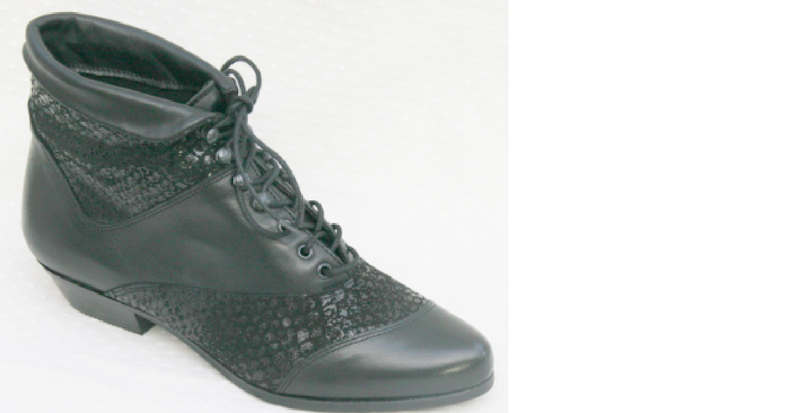 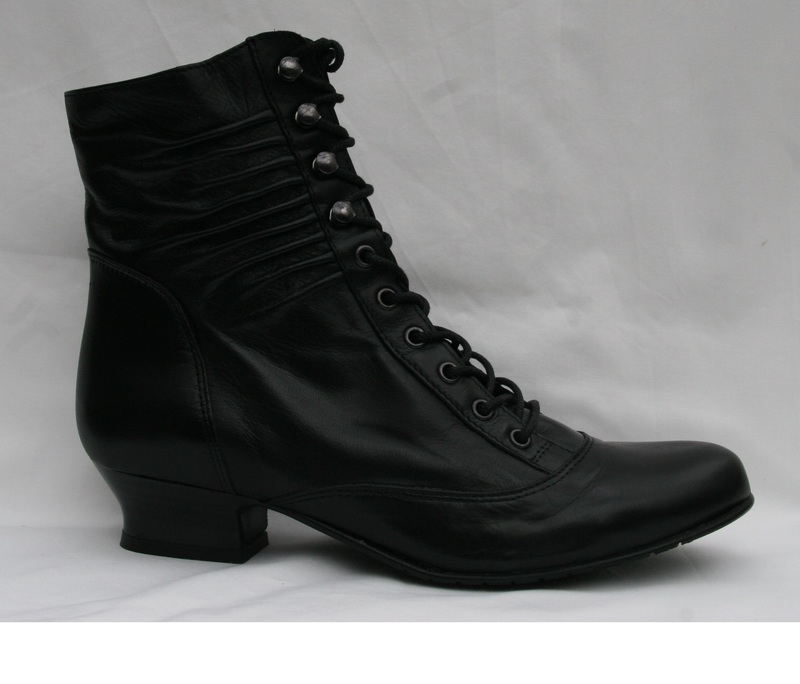 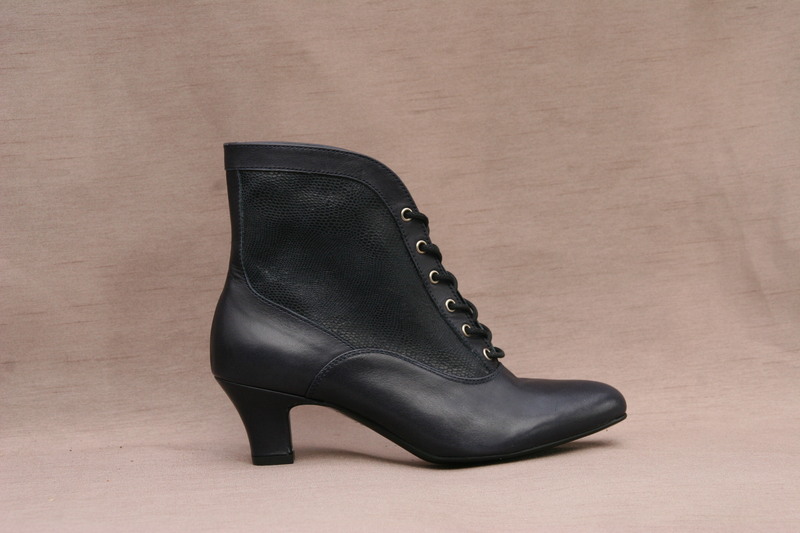 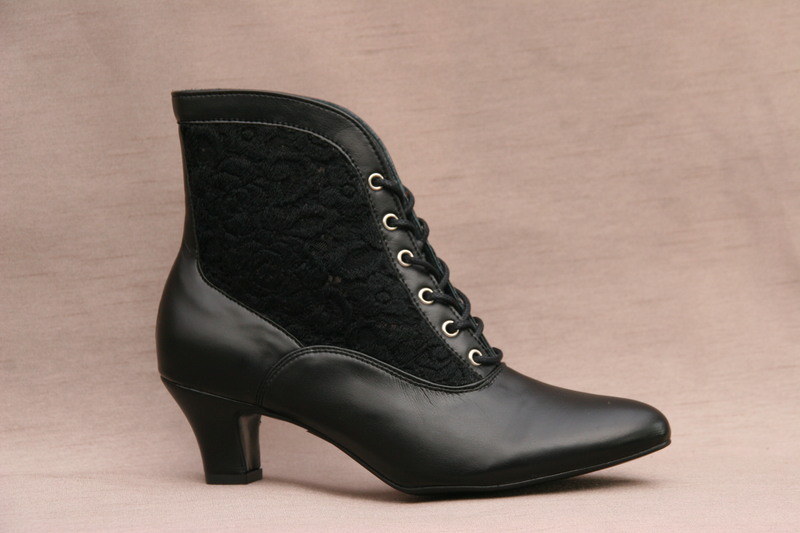 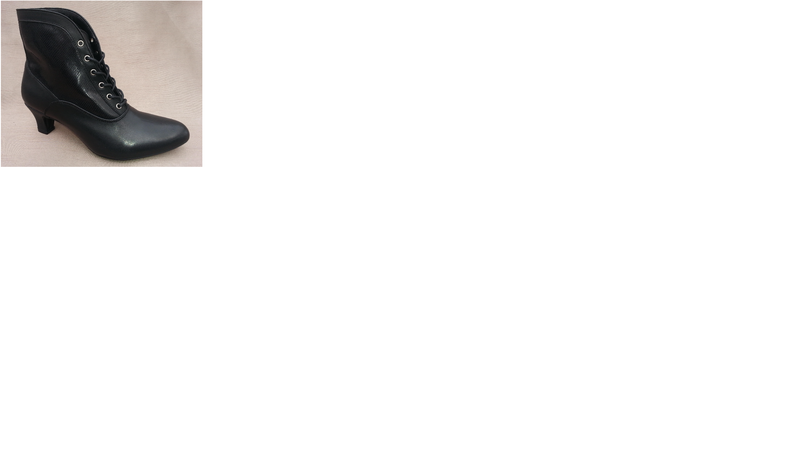 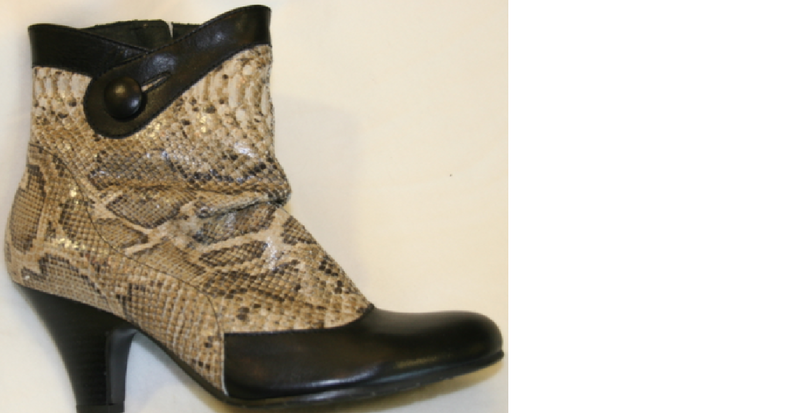 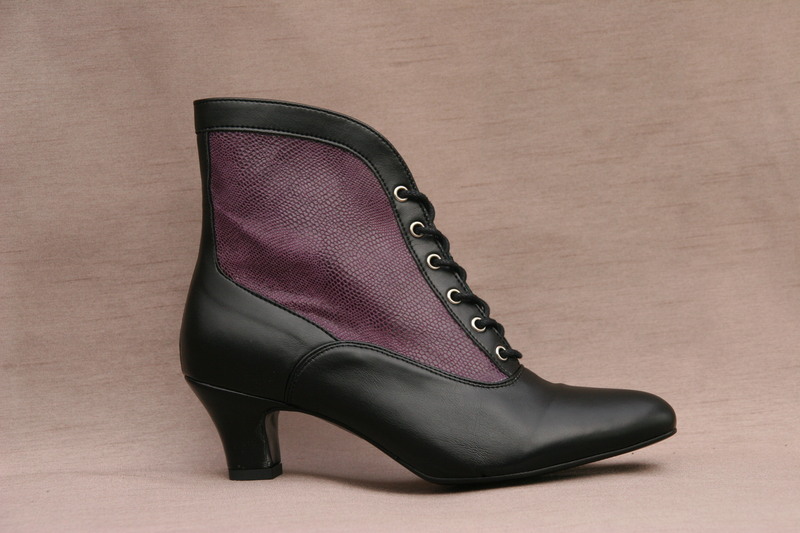 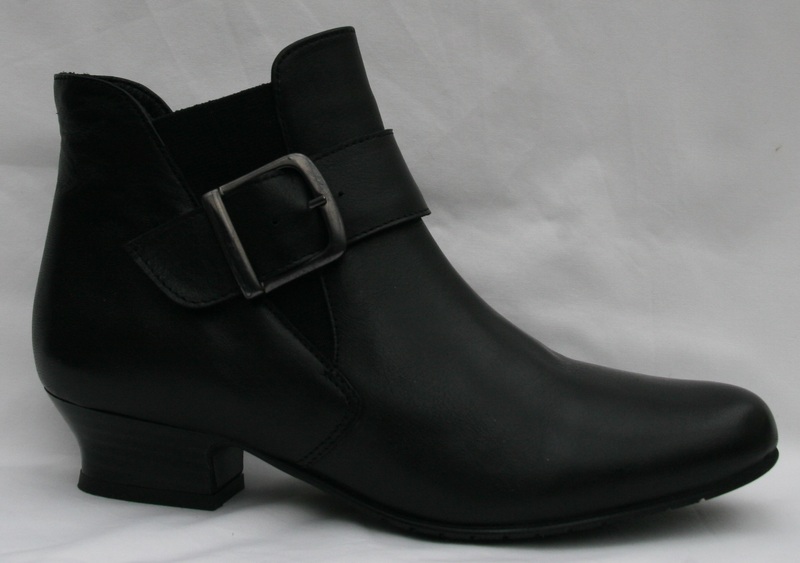 Details as other MINILACE BOOTS but with black embossed leather in the panel.